Stegg, Serra, and Plod are playing soccer when they suddenly hear BOOM! BOOM! BOOM! in the distance. 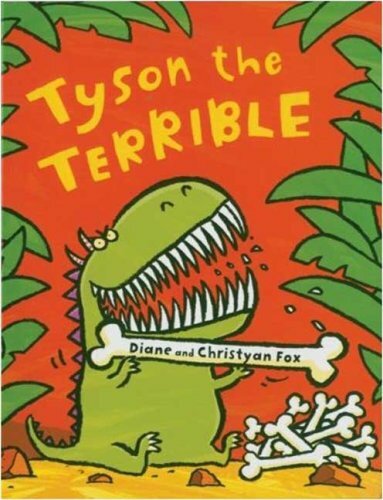 This can only mean one thing, of course: Tyson the Terrible is coming! With his scaly skin, horrible horns, and gigantic jaws, he's the biggest, meanest, scariest dinosaur around! These dinosaurs better run for cover before Tyson gets there . . . shouldn't they? With bold illustrations that saturate every page and a surprising pop-up ending, this is a story that begs to be read aloud. Oh, what to be for Halloween? A determined Tucker rolls out a very creative costume in a funny story young children will surely appreciate. Tucker's owner always dresses him as something cute for Halloween, like a pumpkin with a little orange hat. But this year Tucker doesn't want to be cute — he wants to be spooky! Why does his owner insist that he wear a silly cowboy costume? 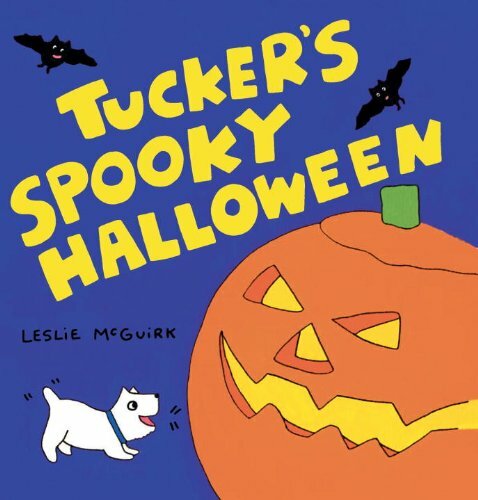 Looks like it's time for Tucker to put his paws to the cause and turn into something scary before the trick-or-treaters arrive! Little ones will laugh at this earnest pup's efforts to make just the right statement on Halloween night. A hilarious retelling of THE THREE LITTLE PIGS, with foil on the cover! 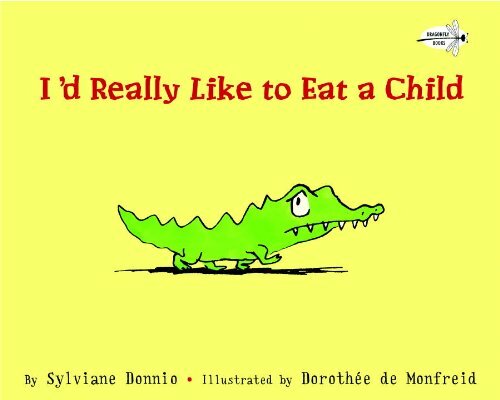 It's the perfect read-aloud! 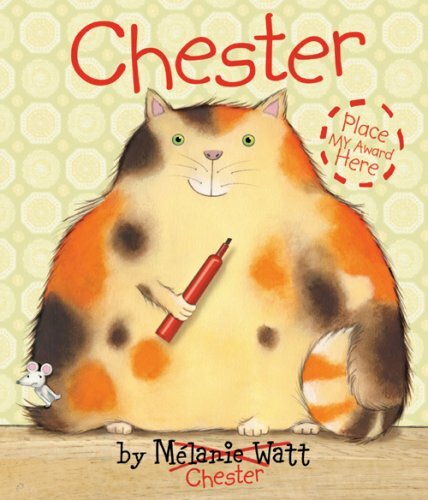 A flustered cat is on the verge of crying fowl in a farmyard story that will crack kids up. Jack the cat is building the perfect nest. It's bound to attract the perfect chicken, who will lay the perfect egg, which will make the perfect omelet. And sure enough, a chicken shows up ("¡Caramba! "), but so do a duck ("Sacré bleu!") and a goose ("Great balls of fire!"). 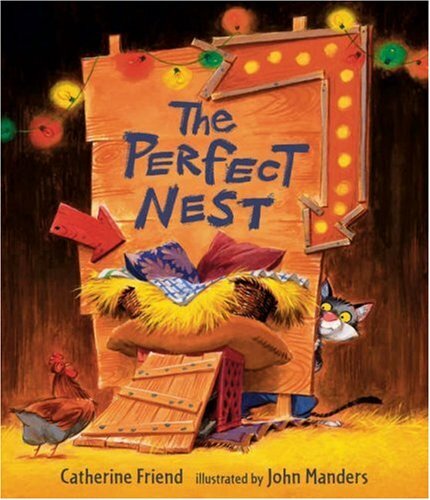 Feathers get ruffled — and Jack gets much more than breakfast — in a funny tale rich in detail with a sweet final twist. Looking out her window, a little girl is enchanted by the snow bear she created. As she falls asleep this backyard snow bear becomes an integral part of her slumber. Millie is unlike most other cows. She chews her cud and grazes in the fields with the others, but she doesn't enjoy that nearly as much as she loves scaring the mail carrier. 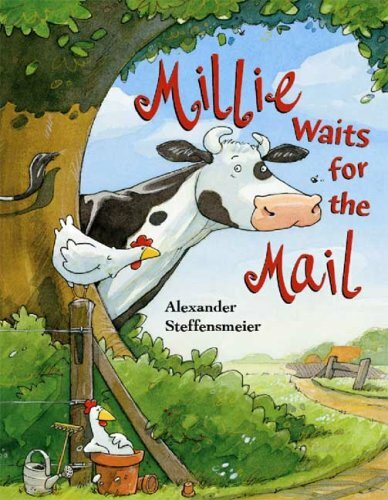 It's too bad the mail carrier doesn't have as much fun each time Millie comes up with a new way to surprise him. Who knew delivering the mail was going to be such a difficult job? 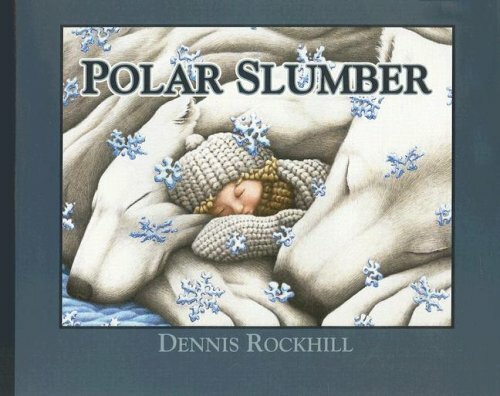 The New York Times praised this best-selling picture book as "adorable, original, well-illustrated and fabulous." 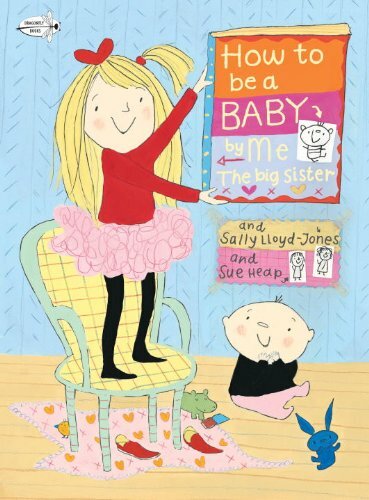 In this first book in the How-To Series (which includes How To Get Married and How to Get a Job), the know-it-all big sister narrator tells it like it is: When you're a baby you don't read books. You eat them. You don't know how old you are, or even if you're a boy or a girl. And you have to keep a special plug in your mouth to stop your scream from coming out. But one day, you won't be little anymore, and then you'll be taller and smarter, and actually quite clever. Like the narrator. And you'll be able to share memories of what it was like when you were little with your incredible Big Sister. 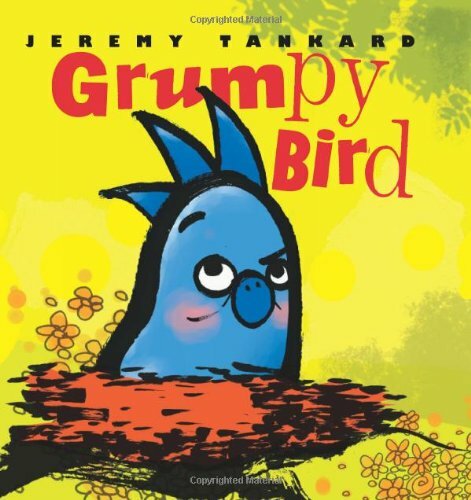 Bright and fresh with an innovative art style, this debut picture book from a huge new talent is sure to win lots of fans! 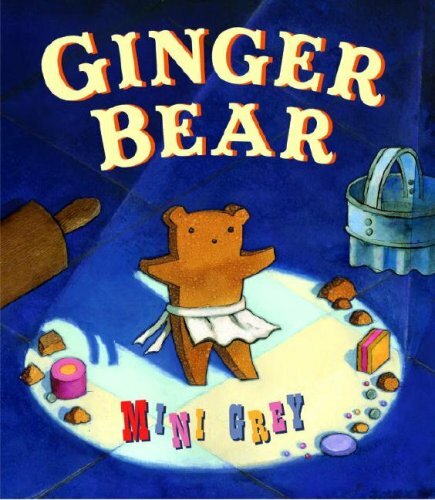 Any child who loves cookies will enjoy this inventive tale of Ginger Bear, a cookie in the shape of a bear, who sets out to avoid being eaten. As she did with Traction Man Is Here! and The Adventures of the Dish and the Spoon, Mini Grey has created a totally original book that is fun to read and fun to look at. 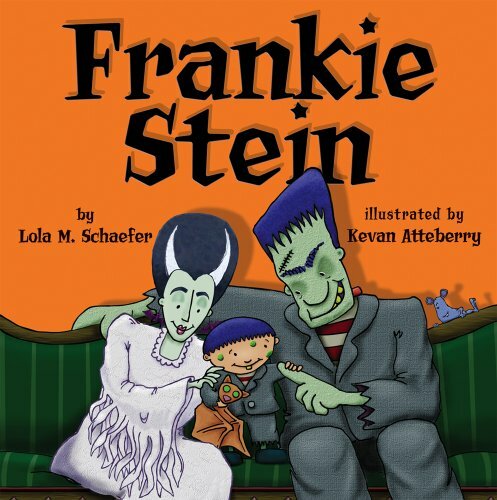 Frankie Stein comes into the world on a bright, sunny day. He's not at all like his parents, Mr. and Mrs. Frank N. Stein. They're scary looking. He's cute. They try to make him look like them. They can't. But he does end up being scary—just in his own way! 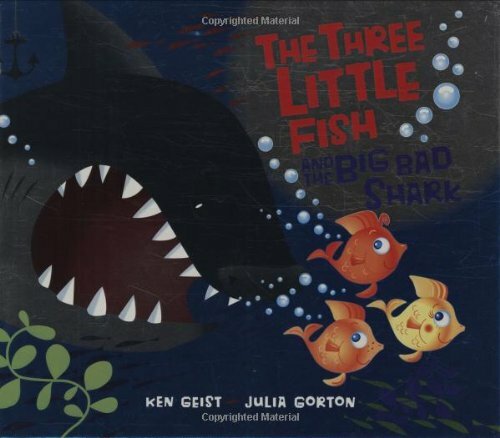 Kevan Atteberry's digital illustrations lend a hand to this family-friendly story perfect for a Halloween read aloud. 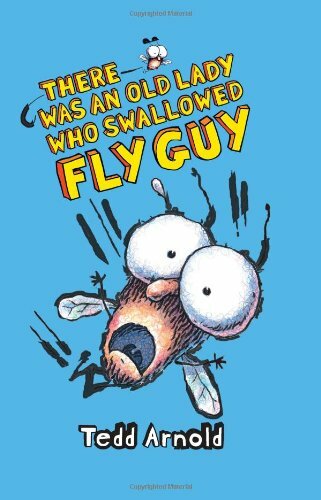 The fourth book in a humorous, easy-to-read series about a boy and his pet fly! Each book in the series has a fun foil cover! Buzz is visiting Grandma, and Fly Guy comes along for the ride. Oops! Grandma swallows Fly Guy, then a spider, then a bird, then a cat, then a dog. . . .
She's about to swallow a horse, when Fly Guy shouts: "BUZZZ!" Buzz is starting to worry, but there is nothing Fly Guy can't handle! He flies out, and all the critters follow. And everybody parties! The day before school starts, Mama takes her five little monkeys shopping for clothes. "Stay right here," she says, "AND DON'T GO WANDERING OFF!" But one little monkey has to go to the bathroom . . . and two little monkeys get thirsty. . . . Then three little monkey friends arrive . . . and four little monkeys decide to go help find the others. . . . Will Mama ever have all five of her little monkeys together again? 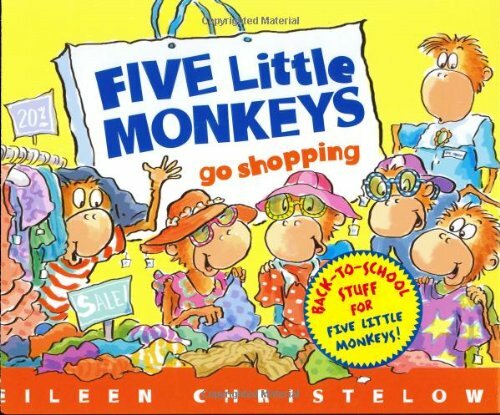 In this latest romp with Eileen Christelow's Five Little Monkeys, vibrant, expressive illustrations accompany a catchy text that's great for reading aloud. Simple math lessons are seamlessly incorporated into the fun. Duck & Goose, Goose & Duck. Feathered friends forever . . . or are they? That's what we discover in this charming and hilarious follow-up to the bestselling Duck & Goose. You see, there's a challenge to their friendship: a little whippersnapper of a duck named Thistle. Thistle's good at everything (or so she thinks), from math to holding her breath to standing on her head. Duck thinks she's fantastic. But Goose does not! And so Goose is faced with a problem close to the hearts of children everywhere: what happens when your best friend makes a new friend? 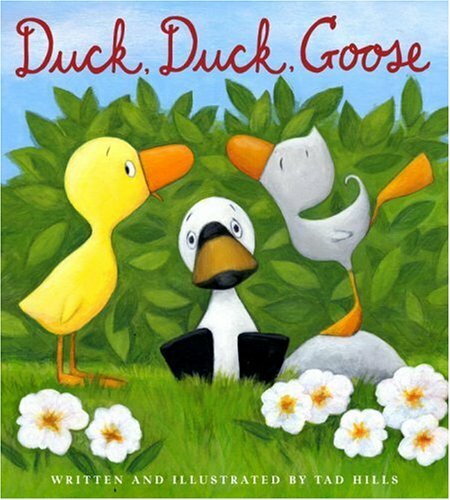 And don't miss Duck and Goose in Tad Hills's six board books, including What's Up, Duck? and Duck & Goose Find a Pumpkin. 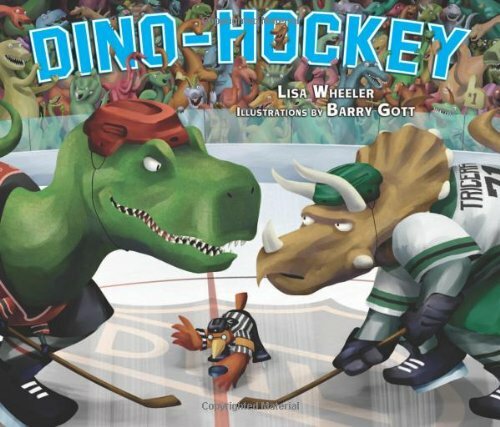 In a hockey match unrivaled in prehistory, the Meat-Eaters take on the Veggiesaurs. Fans go wild in the stands as T. Rex and Triceratops face off, and the game is off to a rip-roaring start. An assist from Raptor gains the first goal for the Meat-Eaters―but the naughty Pterodactyl twins, playing wingers, earn their team a penalty. The Veggies are quick to take advantage and Diplo scores. A tie game! Join the fans and find out what happens. You'll have a front row seat, so keep an eye on Raptor. Hockey gets him pretty riled up and that's quite a set of teeth he's baring. Dinosaurs had huge appetites. But what did they eat? Some grated plants into mush with their powerful jaws. Others swallowed fish whole. And some prowled the land, hunting other dinosaurs for dinner-including their own kind! 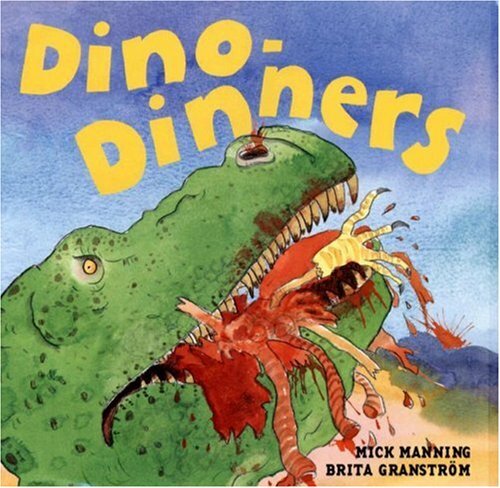 Young dinosaur fans will find out exactly what-or who-was on the prehistoric menu, as well as interesting facts about each dino's life, size and shape, and eating habits. This book was created in association with the Natural History Museum in London, England. Cat, Squirrel, and Duck have a very serious problem: there are no ripe pumpkins in the garden for their favorite soup! They'll have to make something else, but while Cat and Squirrel are willing to experiment, all Duck wants is pumpkin soup. He won't even try a taste of the fish soup or mushroom soup, and the beet soup his friends make is the last straw― "I'm not eating that," he says. "It's pink!" Can Cat and Squirrel find a way to please their fussy friend? 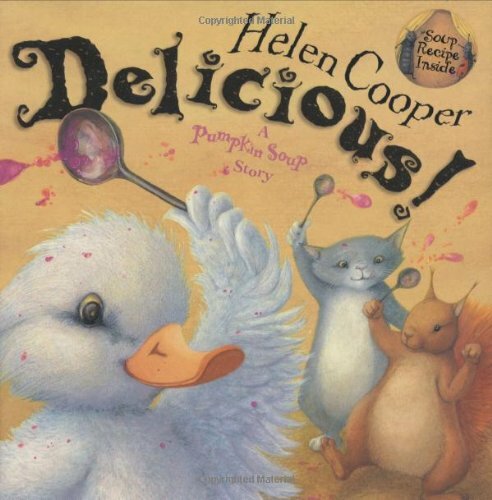 This follow-up to the popular Pumpkin Soup and A Pipkin of Pepper is a perfect story about a picky eater, illustrated with rich, expressive paintings in which children will find much to discover―and it includes a recipe for pink soup! 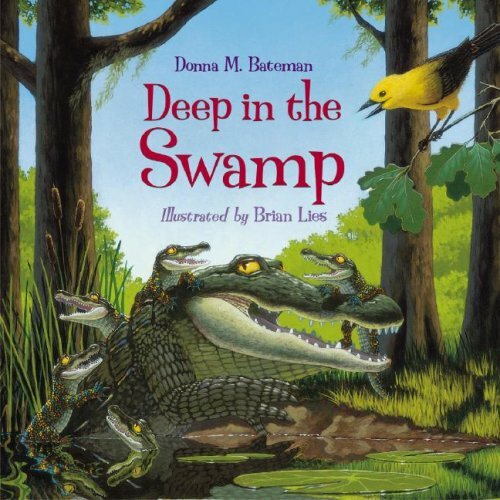 Count from 1 otter pup to 10 baby crayfish as readers learn about the special relationships of baby and mom mammals, reptiles, birds, and insects that make their home in the Okefenokee Swamp. A helpful guide to swamp flora and fauna is included. Modeled after the song "Over in the Meadow" by Olive A. Wadsworth. The bunnies are back and writing their holiday wish lists--with a little help from a bunch of baby mice. A winter's (cotton) "tail," the sequel to DEAR BUNNY, by acclaimed artist Caroline J. Church. Bunny BFFs Tino and Teeny can't wait for the holidays! Tino wants food, flowers, and a telescope to see the stars. Teeny would like some sweet red berries and a pair of mittens to warm her paws. Each rabbit writes a wish list and pins it to the same hollow log where once upon a time they left letters for each other. But after they've hopped along, an icy gust of wind blows the wish lists--whoosh!--away. When a bunch of playful baby mice discover the notes, they're delighted to shred them into all sorts of winter toys. 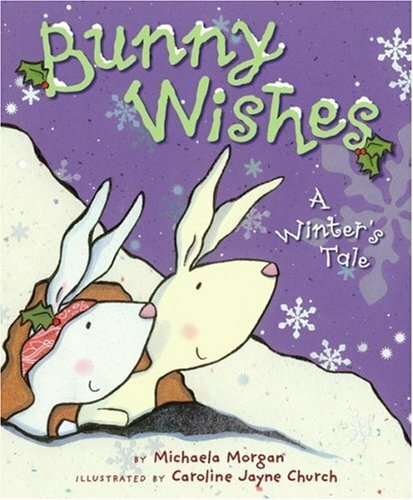 What will become of the bunnies' holiday wishes? Introducing Prunella--an irresistibly irrepressible, independent, bug-loving little girl, sure to create quite a buzz! Prunella is aflutter to share her big bug surprise at show-and-tell. 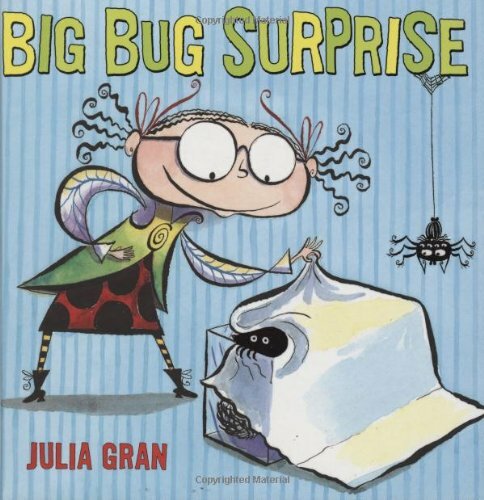 But suddenly, the classroom is abuzz with an even bigger bug surprise! A swarm of bees has invaded! With her teacher and her classmates frantic, can Prunella's buggy know-how save the day? Luckily, Prunella has an idea. And like a true queen, she leads the bees safely to a new hive. Her teacher is impressed! Her classmates cheer! But what does Prunella do? She shares more bug facts, of course, and her audience couldn't beeeee more delighted. For Max and Pinky every Saturday is Adventure Day. Today is Saturday, but where is Pinky? Has he gotten lost or carried away by bunnies—or is he just off somewhere stuffing himself with marshmallows? Watch Max dive into mud, question a polar bear, and be dissed by a horse named Chuck. 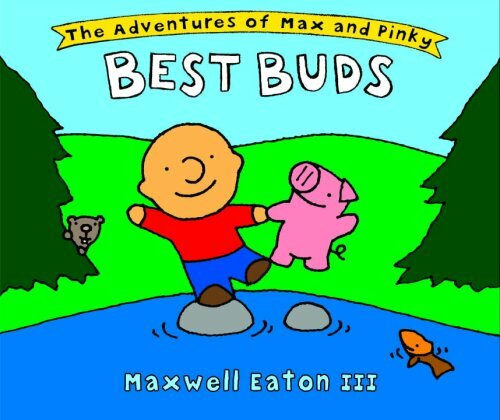 Nothing will stop him from finding his pink pal—because a guy will do anything for his best bud!